To register for the next event please contact us using form below. Three approaches to overcoming pain, discomfort and lack of energy. With a mindful approach to breath, movement, mind and energy this style of yoga helps unblock the body, creates increased flow of movement and develops deeper levels of awareness. Working at the various levels provides an opportunity to practice “becoming one” with what’s happening in the moment. Is rooted in a deep understanding of the way illness, lack of energy and unhelpful emotional/mental states arise and the natural way the human mind and body can heal itself. It teaches us how to generate and manage our energy more usefully to help overcome illness or unhelpful states, and can also lead to a greater enjoyment of life. Has the potential to change old default physical and any associated emotional patterns that block things, leaving us more able to move smoothly and be freer. It is a gentle and mindful approach to releasing pain and discomfort and improving mobility. 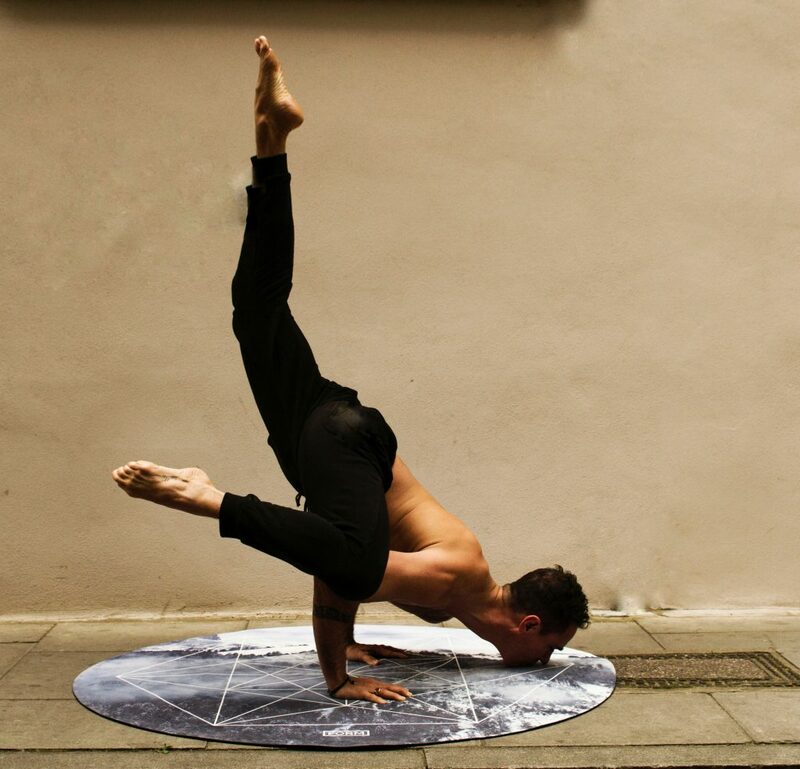 Yoga, but not as you know it! The course I am teaching on the 20th January, at Waltham House Studios in Bognor, will be focusing on the back and hips. Mainly because this is such a problem area for so many people, and is an area of our body that underpins all health and wellbeing. As the American actress Diane Lane said “You are the age of your spine. You are as flexible as your spine. That transfers to other areas of your life”. By focussing on the area of the back and hips it gives me the opportunity to share with you many methods I know really help. It also allows me to spend quality time with each of you, so that you go home with good working knowledge of what you need to practice. Some of the methods I will be teaching you I learnt from a Shaolin Grandmaster, a Zen Yoga Master and a Taoist master. I will also be sharing with you therapeutic self-healing methods I regularly use in my clinic. Learn simple yet profound ways of letting go of tensions, pain and difficult things that lead to illness, lack of energy, stress and depression with zen yoga, self-healing qigong and bone yoga. A wonderful day for immersing yourself in letting go and feeling great. It helps to reduce acute/chronic back pain/issues. It helps to prevent old physical patterns by discovering new ways to move. It helps us to become more skillful with our body/mind/breath/energy relationship. It helps with relaxation, energizing, restoring health and resilience. It’s gentle and relaxing, so anyone can do it. I appreciated spending time on individual exercises and going into them in more detail (rather then covering more in less detail). I enjoyed the combination of the bone yoga , zen yoga and Qi Gong approach - doing an exercise slowly with awareness of each vertebra in the movement and later doing the same exercise with fluidity and Qi flow. I also recognised the teaching skill in using one exercise for us all to do, yet identifying with each of us our individual issues for us to be able to work on at the same time. We all learnt what we needed to. The main reason for the day is to share a number of approaches I have successfully and repeatedly used to release tensions, pains and improve energy levels. This means you’ll come away with things you can do to help yourself. During the day I will be working as a teacher and a therapist, so will help you realign your body in a way that works better for you, and help you release things that are getting in the way. I will also help you get a real experience of these things working for you, so you can go home confident in your practice. The ‘A-Way’ approach means you will get what you need to help you in the most useful way with where you are at right now. As things develop you will be able to adjust your practice accordingly. Think of this as a restorative, relaxing, releasing, therapeutic and healing day, all in one. From a young age I suffered with pain, illness and being overwhelmed. I investigated various approaches that could help. I worked with pioneers and leaders of specialist fields who understood the important relationship between mind, body and energy. Each had their approaches or systems led to a deeper knowledge of how to overcome the things that get in the way of good health and happiness. Over the last 20 years I have worked with these various modalities and developed a synergistic approach to inner wisdom and healing. I call this A-Way Therapy. What I came to realize is that there is no “1” single way that works for everyone. Each of us has our own set of conditioning, beliefs, experiences and approaches to life. It’s Yoga, but not as you know it! Thanks to the media the image we often get when thinking of yoga is a young lycra clad person bending in an unnatural way, with you thinking “I can’t do that”! Fortunately, neither the Zen Yoga nor Bone Yoga, we will be practicing, require you to be flexible or bendy. The gentle and mindful approach works only to meet you where you are. As tensions release movement will become more easeful. As movement becomes more relaxed and smoother, you once again work at where you are. No pushing, No stretching and with a bit of luck, no lycra. In this practice the word ‘yoga’ really means ‘unity’. Wow! I just completed my first Bone Yoga course with Tim Franklin and what a special system it is! Unlike any “traditional” yoga class I have ever taken, Bone Yoga works slowly, comfortably and mindfully within the body’s range of movement and immediately increases that range of movement, working on old patterns and vibrations held in the bones and releasing them effortlessly in the process. Having worked with energy for a decade through Qigong, and more recently Reiki and Thetahealing, and as a master practitioner of Time Line Therapy, Hypnosis and NLP, I found this modality bafflingly simple yet extremely profound. I find it complements my Qigong perfectly and has significantly increased my (already good) body and energy awareness at least by a few levels. Tim’s teaching style is a delight; Utterly relaxed yet focused, direct and effective, playful, systematic, comprehensive and tailored to our individual unique needs. His awareness and appreciation of energy, it’s properties, how it manifests and how to work with it (from many perspectives and modalities) is truly staggering. I left the course completely equipped not only to practice Bone Yoga but also with a personal training/practice plan to address my most pressing needs. And as if that wasn’t enough, I am already under no doubt whatsoever that this deepened awareness is enhancing my Qigong practice and my life in general. I can hardly wait for the next course. If you have an opportunity to try it for yourself book first, think later. The cost for the day is £120. Places will be limited to 15 people so that each person can receive the individual help needed and experience a personally immersive day of relaxation, letting go and feeling great. To book your place please use contact form below. Once received we will send you the payment details. Payment is in advance. Please bring along a yoga mat if you wish. We do supply mats, but some people prefer their own. Please do bring a small towel, a blanket and a cushion if you have one. In our school we aim to make the learning progressive, practical and easy to understand and follow, so that each practitioner comes away from the course with some real-world everyday benefits, not just the form. Courses benefit all levels of practitioners from beginners to advanced. Courses result in a more relaxed body and mind, increased energy and energy flow. These skills can be used for clearing illness, improving health, increasing energy, having a clearer mind and experience spiritual joy. The Art of Shaolin Cosmos Qi Gong is both deep and rich in its skills and outcomes and in the past took practitioners many decades of practice to gain the benefits. As a result of the distilled teachings of our Grandmaster - Wong Kiew Kit, 4th generation successor of the monk Jiang Nang, from the Shaolin Temple, we are able to pass on these essential skills in a much shorter time. People who have practiced with our school have reported positive benefits from taking just one course. For improved health, stability and ‘zest’ for life. If you have practiced the Shaolin arts for some time, you would have already realized that they offer simple, direct and effective methods for improving health, increasing energy, experiencing clarity of mind and can be applied to daily life. Training Shaolin Arts such as Shaolin Cosmos Qigong or Kungfu includes: learning and developing the skill of energy flow to clear ‘blockers’, as well as developing techniques and skills to experience physical, emotional and mental relaxation. Once a student has successfully learnt how to generate and enjoy a flow of energy through practicing body alignment, relaxation, breath and mindfulness training, they can go on to developing greater levels of internal energy. This practice is known as ‘Building Internal Force’. Unlike building external strength, internal force relies on ‘skills of generating energy flow’, and is not limited by age, gender or fitness. It can however be used to enhance whatever a person does, including; sports, health, martial arts, healing and enjoying of life. The increased energy you generate often provides the much-needed fuel to boost everything you do, whilst remaining fresh, energised and calm. And the more energy you have, the better it is. 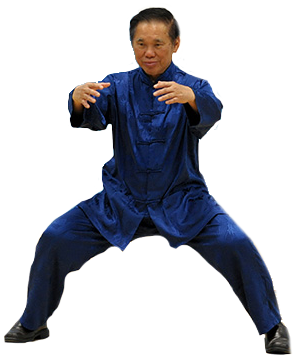 Internal force training includes specific stance training called Zhang Chuan, Qigong skills, directing energy with mind and breath work. In this 1-day course I will be passing on some of the best methods I have learnt and have regularly practiced over the last 15 years+. All of the methods being passed on will help in developing and increasing energy for improved health, stability and ‘zest’ for life. Beginners are welcome, as are more advanced practitioners. The cost for this 1/2 day course is £60. If you would like to join this course or host it in your area please fill out the form below. The benefit of Shaolin Cosmos Chi Kung is that by regularly doing a 15 minute practice, illness can be cleared at many levels - physical, emotional and mental. It is wonderful at addressing many chronic difficulties like depression, pain, obsessive thoughts, Chronic Fatigue Syndrome, anxiety and stress. As well as helping people overcome chronic illness it also helps people to increase their energy, have a clearer mind and generally live happier and healthier lives. To host this course in your area please get in touch. In our school we teach Shaolin Cosmos Chi Kung - as passed on to us by Grandmaster Wong Kiew Kit. These arts and skills were taught by Bodhidharma to the Shaolin monks around 1500 years ago. They include the techniques of the Eighteen Lohan Hands. The Eighteen Lohan Hands is one of the physical forms used to develop and practice the skills of Chi Kung. The first eight of these forms are commonly known as the 8 Pieces of Brocade or Ba Duan Jin, which are practiced in various ways all over the world. The Eighteen Lohan Hands is a set of techniques or physical forms. Practiced at the physical level they can help with postural alignment, flexibility and physical conditioning. When practiced using the skills of Chi Kung, and particularly the ability to generate energy flow, any and all of them can be used to clear illness, improve overall health, become more energetic and help with clarity of mind. These Chi Kung exercises can also be used to develop a joyful and open-hearted resonance with the world around us, and appreciation of life. 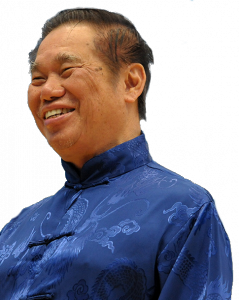 These are the overall or holistic benefits of all genuine Chi Kung. In this course we will pass on the important fundamental skills and practices of the 8 Pieces of Brocade, as well as explaining the benefits of each of the exercises. Below are the first two exercises of the 8 Pieces of Brocade being taught at the course. This exercise works on all meridians and generates an over-all chi flow. Good for postural alignment, back and neck, allergies, fear, self confidence, stress relief, tinnitus, incontinence, haemorrhoids and first aid to injuries. This exercise is considered a wondrous exercise in our school. This exercise activates chi flow and helps develop internal force. It is beneficial for heart, lungs and skin, and solving problems with high blood pressure and respiration. Its ability to improve memory, vitality, strength of arms and build confidence makes it an excellent exercise for martial artists and sports people. To get the best out of practicing Qi Gong you’ll need to learn how to generate an energy flow. Without the ability to generate an energy flow you’ll only get the benefits of a gentle exercise. Genuine Qi Gong gives you much more. The benefits of practicing a high-level energy art, such as Shaolin Cosmos Qi Gong are immediate. You don’t have to wait for months or years to feel increased energy, a clearer mind or a sense of peace… you can enjoy it now! When practiced correctly the art of Shaolin Cosmos Qi Gong (Chi Kung) promises good health, increased energy, mental freshness/clarity and spiritual growth from an efficient 15-minute daily practice. This can be achieved by developing the correct and necessary skills for practicing high-level Qi Gong. These skills can range from ‘Self Manifested Chi Movement’ to ‘Pulsating with the Cosmos’. Many people believe that the practice of Qi Gong is made up of a number of patterns that can be followed in sequence, like in ‘Tai Chi Dance’. Whilst Qi Gong does involve movement and forms, it is actually ‘the art of energy’. To get the real benefits you need to develop skills. These skills include the ability to relax physically, mentally and emotionally, to experience an absence of unnecessary thinking and tension, to enter a Qi Gong state of mind and to generate a flow of energy. Later these skills can be used for further development and deeper practices. Forms: The 18 exercises of the Eighteen Lohan arts. Skills:Co-ordinate form and breathing and generate internal force. Application:To develop internal force for increasing energy levels. 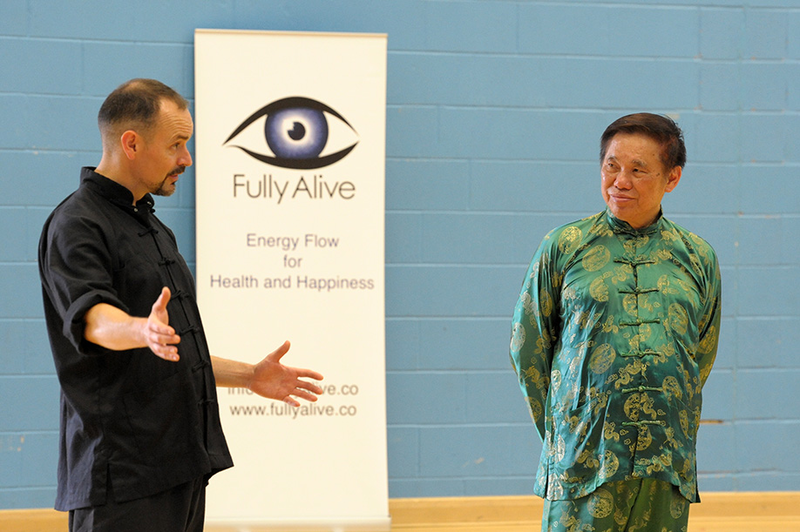 We regularly run courses on Qi Gong, Taijiquan & Shaolin Kung Fu.